Marina would have 371 boat slips removed and replaced with 301 slips. SANTA BARBARA — A public marina at Marina del Rey will feature 70 fewer slips once the boating venue is ultimately renovated, thanks to the California Coastal Commission’s approval of a permit for Mariner’s Bay and Los Angeles County’s Department of Beaches and Harbors (DBH) to move forward with redevelopment plans. The commission approved the requested permit on June 9 as part of its consent calendar during its two-day meeting in Santa Barbara. Mariner’s Bay LLC and Los Angeles County seek to redevelop two basins within an existing public marina located at 14000 Palawan Way. Basins D and E would be affected by the renovation plan. There are currently 371 slips at these two basins; the redevelopment would reduce the slip count to 301. Coastal Commission staff said the reduction in slip mix would remain consistent with Marina del Rey’s Local Coastal Program (LCP) requirements. “The applicants have demonstrated that the proposed slip mix, within the redeveloped portion of the marina and cumulatively within the Marina del Rey harbor, complies with the LCP requirement that at least 39 percent of boat slips be 30 feet or less and an additional 20 percent of slips be 31 to 35 feet,” commission staff stated in a report to commissioners. Both Mariner’s Bay and the county claim the reduction of slips would actually benefit public access and recreational opportunities. Complete plans call for the existing 371 slips, 17 docks and 15 gangways covering 91,598 square feet to be demolished and replaced with 301 slips, 15 docks and nine gangways over 87,030 square feet. The new boat slips would feature electrical service, communication lines, potable water and access to a new sewage pumpout station. About 60 slips, ranging from 25 to 60 feet in size, would be accessible to disabled individuals. The two new marinas would also feature 14 end ties supporting boats between 25 and 108 feet, according to coastal commission staff. Changes to marina accessibility and safety, as well as the overall dilapidated condition of the boating venue, spurred the proposed redevelopment of slips and docks. 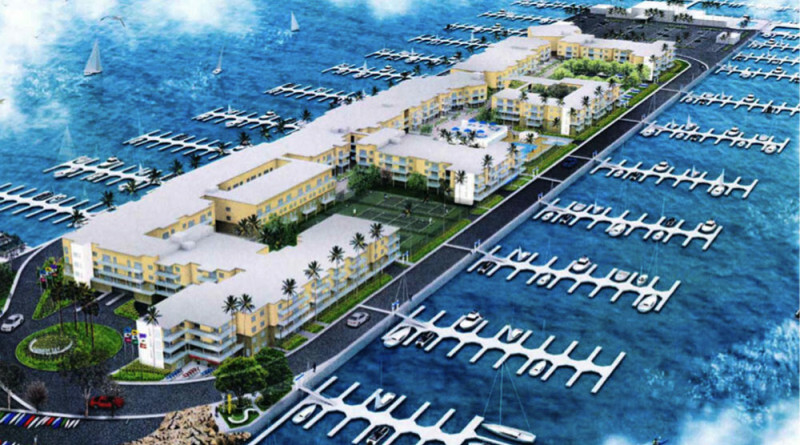 Construction would be completed within 11 phases, according to Mariner’s Bay and DBH.